The 2018 ITTF World Hopes Week and Challenge, to be staged in the Spanish east coast resort of Alicante, edges ever closer. Now, with all continental Hopes activities concluded, representatives nominated and wild cards awarded, action is ready to begin on Monday 30th July. Well established, the ITTF World Hopes Week and Challenge is the pinnacle of the Hopes pyramid, a concept based on the hard work of national associations who have staged Hopes Weeks with continental and regional initiatives following. A six day training camp followed by a one day challenge tournament is the itinerary; the outcome will determine the composition of the Hopes Team that will compete later in the year at the 2018 World Cadet Challenge in Tottori, Japan. Japan’s Takashi Watanabe and Slovenia’s Joze Urh will lead proceedings. They are the head coaches for the training camp. Notably, they will be assisted by two coaches from the Royal Spanish Table Tennis Federation who will work closely with the participating players’ coaches. The week-long event will also feature five educational training sessions for coaches; all coaches being encouraged to share their knowledge and experience both in the hall and at the educational sessions. One of the five presentations is reserved for the best submitted online by a participating coach prior to the event. The Hopes Team will be formed by four girls and four boys, the winners of the Challenge tournament gaining automatic selection for the Hopes Team. 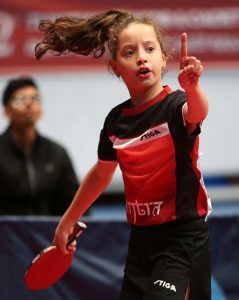 The remaining six spots will be filled based on the final Standings of the ITTF World Hopes Challenge, whereby a player must be ranked between one and eight in order to be considered; a continent may have a maximum of two representatives per gender and three in total. Priority will be given to players with a higher ranking the Final Standings; should one boy and one girl from the same continental federation have the same ranking, the player with more points will gain priority. Selected Hopes team players must demonstrate qualities of sportsmanship, such as training ethics, respect for other players, coaches and teamwork. The Hopes Programme is a series of events at national, regional, continental and world level featuring education, training camps, competition and talent identification.